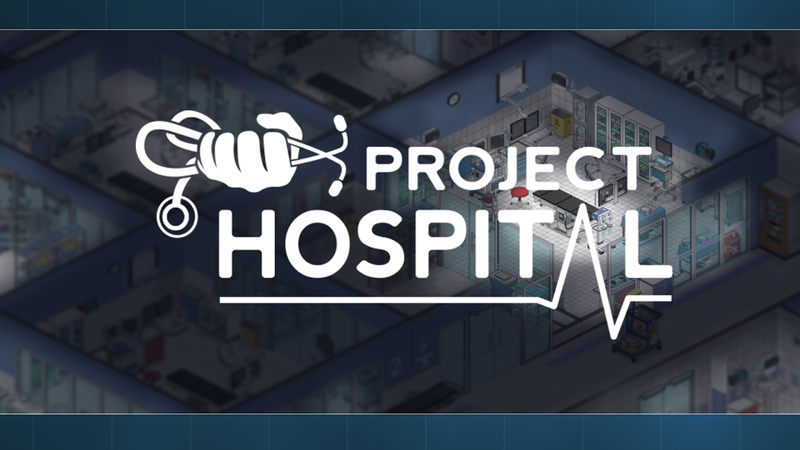 When I was asked if I wanted to review Project Hospital, I already knew exactly what it was all about, and kind of wanted to pass. But then I looked at it and realized that, no, this isn’t the hospital simulator that I thought it was… because there were two games with a very similar premise that are coming out around the same time. I don’t like to compare games to each other when I could instead weigh them by their own merits, but in this case, the juxtaposition is unavoidable. 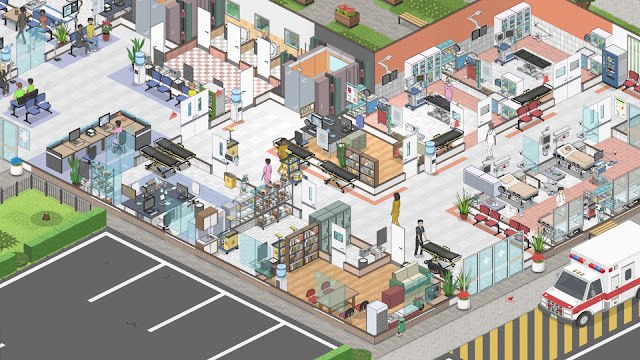 Project Hospital is the more realistic between itself and Two Point Hospital. The graphics aren’t as cartoony, and the afflictions that you diagnose and treat are real, as opposed to “The client has a lightbulb for a head”. You can build your hospital from the ground up, laying the foundation, adding additional floors, staffing different people on different shifts, managing raises, how long of a break they get, what kinds of insurance companies you will accept patients from, and an inordinate number of other things. You earn money from treating patients, with the amount varying depending on which insurance type they have, and while it isn’t much per patient, the more you are treating, the more upgrades, equipment, and staff you can afford. The music is better, the interface is smoother, cleaner, and generally just seems to take itself a bit more seriously. When you have a client, it will show their symptoms and a list of possible ailments with their probabilities listed. You can order additional tests to uncover hidden symptoms, which help to differentiate and rule out the false outcomes. When the diagnosis is selected, you can read to determine the treatment and assign that treatment for the patient. We’re sorry, this demo preview has expired. We look forward to seeing you at launch!